Everyone deserves to holiday like a billionaire — and this intimate island escape promises that exclusive VIP vibe and celeb-worthy luxuries. Only for grownups, Serenity at Coconut Bay’s 36 suites are lavish inside and out, from your 4-poster mahogany bed, through the French doors, to your private plunge pool, accessorised with a waterfall, pool deck, sun loungers and personalised wet bar. You’re even indulged with a discreet personal butler, ready to arrange anything from spa treatments to moonlit dinners. If you fancy rubbing shoulders with other guests, there’s the Serenity Pool, where you can laze on in-pool loungers as attendants serve you cocktails and hors d’oeuvres, while cooling you with mists and chilled towels. Of an evening, visit the Greathouse Restaurant, where gourmet global cuisine is served in a romantic mansion setting. Located just a short stroll from the beach and next door to Coconut Bay Beach Resort & Spa, you have an array of land and water sports and activities at your fingertips, along with a varied choice of dining options, and the best bit of all — it&apos;s premium All Inclusive! A secluded position within walking distance to the beach on St Lucia’s south east Atlantic coast. Transfer time from airport: 5 minutes. Transfers included. 36 plunge pool suites. All with Butler service, private patio and pool deck, private plunge pool, air-conditioning, cable TV, complimentary in-suite WiFi access, alarm clock radio, Bose sound system, safe, personalised bar with premium liquor and wine selection, coffee and tea service, mini-fridge, 24-hour room service, nightly turn-down service, oversized soaking tub, walk-in rain shower, bathrobes and slippers, pillow menu, iron and board and hairdryer. Plunge Pool Butler Suite with custom mahogany king-size bed, sleeping maximum 2 adults. All Inclusive of: all meals, snacks, alcoholic and non-alcoholic beverages. 24-hour butler service, unlimited reservation-free gourmet dining and unlimited wine and premium spirits. Crafted cocktails and beverage service, daily signature cocktail with souvenir recipe card and mixology lesson. Gourmet in-suite dining, 24-hour room service and privacy service box. Personalised wet bar refreshed as needed. All activities and entertainment above unless otherwise stated. Premium Plunge Pool Butler Suites feature a spacious patio with a fully-stocked wet bar, a hammock for two and an outdoor shower, with 1 king-size bed, sleeping maximum 2 adults. Grande Plunge Pool Butler Suites are the largest of all the suites, offering a huge furnished living area and wrap-around fully-stocked wet bar, with 1 king-size bed, sleeping maximum 2 adults. Booking Bonus: Book by 31 Oct &apos;19 to receive up to 55% off the accommodation cost between 3 Jan–31 Oct &apos;19. Booking bonus: book by 31 Oct &apos;18 and save up to 70% off the accommodation cost for stays between 3 Jan–31 Oct &apos;20. Minimum stays apply. Booking bonus: book by 30 April &apos;19 and save up to 65% off the accommodation cost for stays between 3 Jan &apos;19–2 Jan &apos;20. The Greathouse Restaurant. Poolside cocktail and hors d’oeuvre service. Additional dining venues are available at the 4* Coconut Bay Beach Resort & Spa, including 3 à la carte restaurants, Silk serving Asian Fusion, Calabash offering Caribbean Creole and International cuisine and Capri the al fresco Italian restaurant. Each with early child-friendly sittings and later adults-only times (reservations are required and a dress code applies). Main dining room Coconut Walk for buffet-style breakfast, lunch and dinner. Snacks from The Beachside Grill available from 11:00am-6:00pm and again at 10:00pm-1:00am for a late night menu. La Luna*, oceanfront private dining restaurant (reservations required). 6 bars including swim-up pool bar located in the main activity pool. Nightly entertainment, including Managers’ weekly cocktail party, Friday night Chocolate Extravaganza on the Stargazers Deck, weekly Harmony pool party, nightclub and themed nights all available at the 4* Coconut Bay Beach Resort & Spa. Serenity pool and lap pool. Shaded pool cabanas and in-pool loungers. 5 additional swimming pools including 2 adults only pools and CocoLand Waterpark with 1 enclosed and 1 open water chute, a ‘lazy river’ for tubing and a freeform pool with waterfalls available at Coconut Bay Beach Resort & Spa. 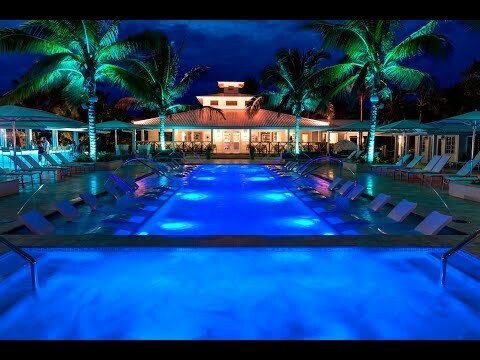 Kai Mer Spa* and fitness centre at the 4* Coconut Bay Beach Resort & Spa. Coconut Bay Watersports Centre* offering kitesurfing, paddle boarding, windsurfing and kayaking. Complimentary WiFi access. Golf cart shuttle to the beach. Complimentary long-distance calling. Holiday planning assistance, to include secure dinner reservations, tour bookings and spa appointments. Full access to Coconut Bay Beach Resort & Spa including all activities, entertainment, facilities and dining venues. 3 nights between 29 Apr-13 Dec &apos;19, 3 Jan-5 Apr &apos;20 and 29 Apr-31 Oct &apos;20. 7 nights between 6 Apr-28 Apr &apos;19 and 14 Dec-2 Jan &apos;20. Magnificent food, wonderful service and the romance package is great. It includes a chauffered drive around the island. There is masses to do if you are energetic- or as in our case take a couple of good books and chill. Each bedroom has it's own private courtyard and plunge pool ( and bar!). So ideal for old fogies like us or honeymooners. Be welcomed Be pampered Be serene!